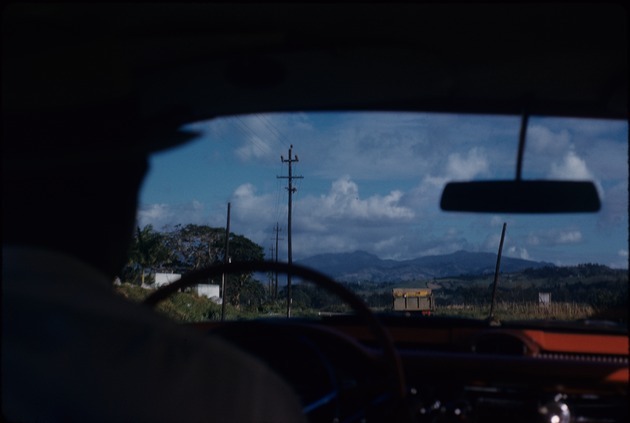 View from inside a moving vehicle on the way to El Yunque Rainforest. Visible through the windshield is a truck with cargo. Also visible are the mountains of Luquillo (where the forest is located).